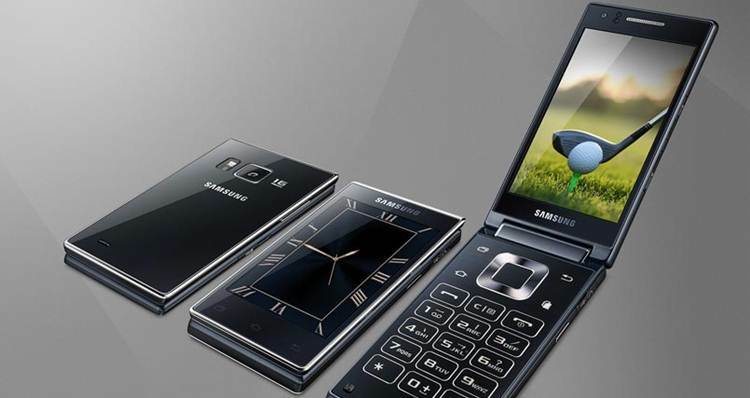 After the launch of Samsung W2017 flip phone, the company has yet again introduced its successor Samsung SM-G9298 in Chinese markets. This time Samsung SM-G9298, available in a single black color, gets a steadier processor and better optics as compared to its previous model. For now, it’s available in Chinese markets only. The 4.2-inch full-HD smartphone has got dual Super AMOLED displays both on the inner front and outer front. A few days ago, Samsung had taken a bold move to keep its users safe while driving. It had announced that its upcoming models such as Samsung Galaxy 8 and Samsung Galaxy 8+ will get In-traffic Reply app pre-installed. Earlier, Samsung W2017 got so much love from the public in China that its demand rose in South Korean markets as well. We hope that this new gadget receives the same overwhelming response from customers. It will have a quad-core Snapdragon 821 with dual cores each clocking at 2.15GHz, and 1.6GHz. The flip phone sports 4GB RAM, and 64GB internal storage capacity which can be extended to massive 256GB through an SD card. The rear camera for this model is of 12MP, while you can take superb quality selfies with its 5MP front camera. The users are provided with an ample of connectivity sources such as micro USB, 4G connectivity, USB 2.0, NFC, Bluetooth v4.1, Wi-Fi a/b/g/n/ac, and GPS. Having a standby power of 68 hours, the phone houses the battery of 2300mAh. Weighing 235gms, the smartphone has dimensions of 130.2×62.6×15.9mm. With the Samsung Pay feature, one can make quick payments via this smartphone. S Voice and Secure Folder are other facilities offered by this amazing device. Its onboard sensors cover barometer, accelerometer, gyroscope, and a fingerprint sensor. However, the price of Samsung SM-G9298 is still not revealed by the company, and whenever it gets updated, we’ll make sure to inform you about it.